Just in time for Tom Blake's New 52 debut tomorrow, here we celebrate the existence of a man who's had almost as many face changes as Doctor Who himself since his initial inception in 1963! (Also the year Doctor Who debuted, fyi). As a reminder, please don't forget to tag your posts as Series: 31 Days Of Scans! 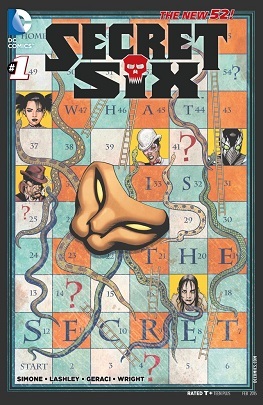 Newsarama has the preview of the final Secret Six (EVER) issue. (looks around to see if anyone posted this yet). Dammit, I am going to MISS this. Let this ONE preview page remind you of what you are missing. What will be GONE. ComicBookResources brings us to the arc where Bane begins to slip into true villainy once more. But before that begins, some loose ends to wrap up. 2 preview pages behind the cut. The Six are in hell. An bargain is offered, votes are taken. 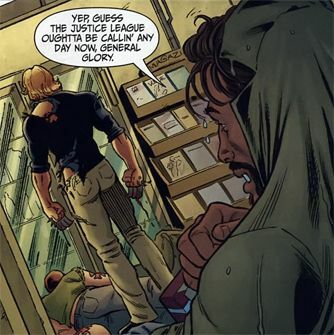 Preview courtesy of ComicBookResources. IGN has the preview for number #21 as Catman's becomes the lead in this story arc.